RAGDOLLS are multimaterial creatures made with scraps, fragments that can divide, rotate and assemble again simulating living movement. Then there is an island, a love story and an evil Plague Doctor trying to collect all the multiplicity that those mixed-up forms of life can bring in a striped, jail-like establishing. 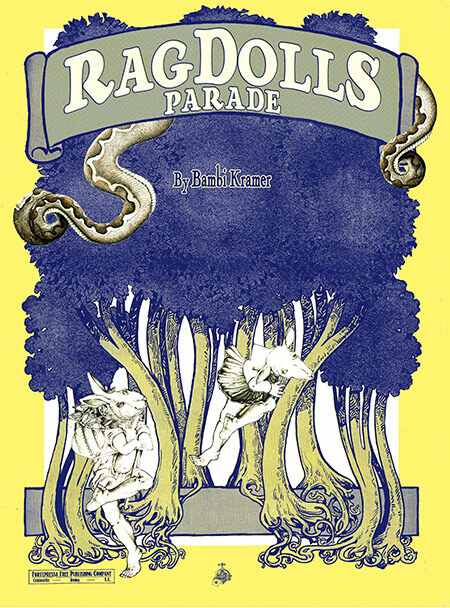 Original music sheets from the early 1900’s moves this little chimeras’ parade at the Rag time. 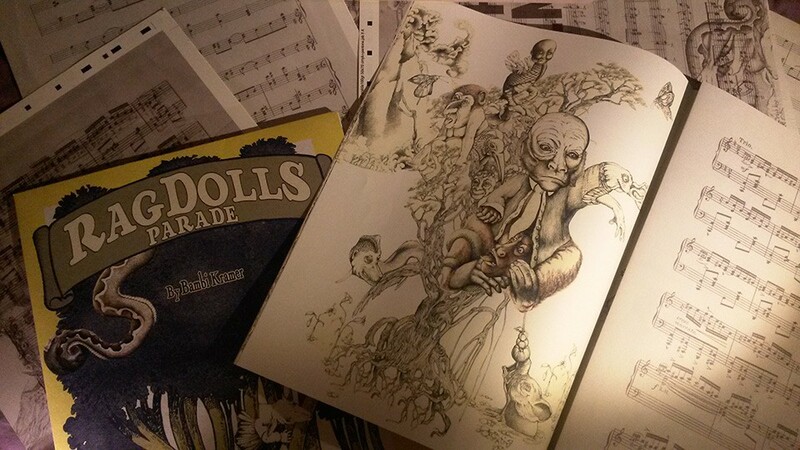 RAGDOLLS PARADE is a book that comes out at the end of a process which lasted more than a year, starting in Colombia with a theater performance, and then a six meters drawn roll that illustrates it. From the flowing continuity of a roll, eyes, arms, legs and bodies are extracted and isolated by a new Victor Frankenstein. 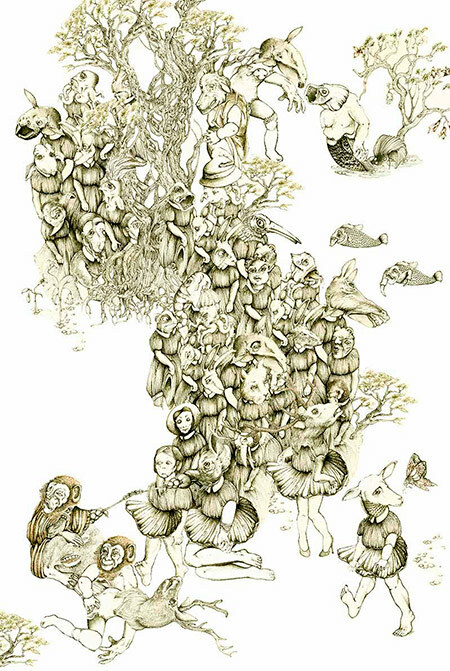 Reproducing and combining them, hidden creatures, movements and stories are revealed. The whole work develops as a big detournement and cut-up operation by moving and implanting new elements in old and “al-ready made” structures, making the book as a ragdoll itself, pages and images dancing at their own music. To receive Ragdolls Parade by post, you can e-mail fortepressa@gmail.com giving all the infos required for the shipment. Everything in Fortepressa’s production has no price: it is rather a donation to our Association: the choice to donate is a concrete contribution to our work, an important part of our process. La donazione è libera, ma ti consigliamo una donazione minima di 25€ (20€ per il libro + 4,90€ di sped. postale per spedizioni in Italia) e una massima di 40€. Donation is voluntary and open, we suggest a minimum of 25€ (20€ plus 4,90€ shipping for Italian destinations) and a maximum of 40€.